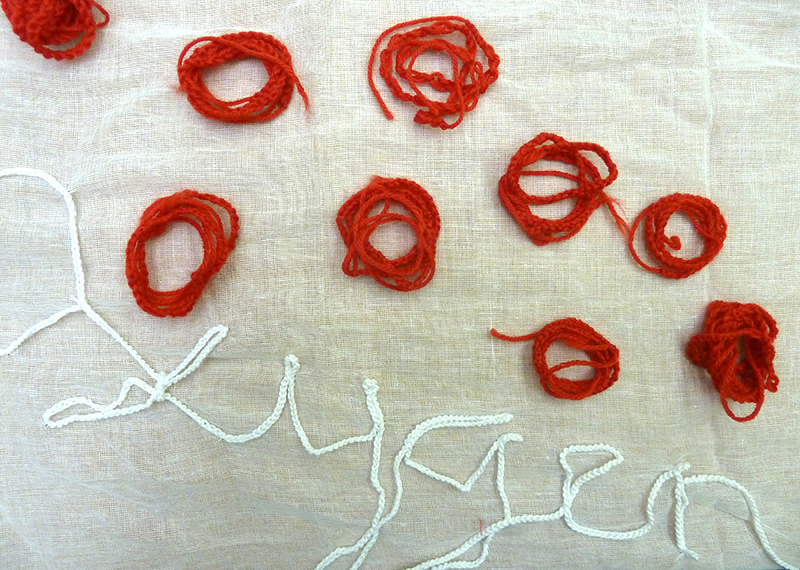 Oxygen is a play by Natalie McGrath, and produced by Dreadnought South West (DSW). Founded in October 2012, DSW is an organisation that connects individuals and communities through telling great and courageous stories about women. 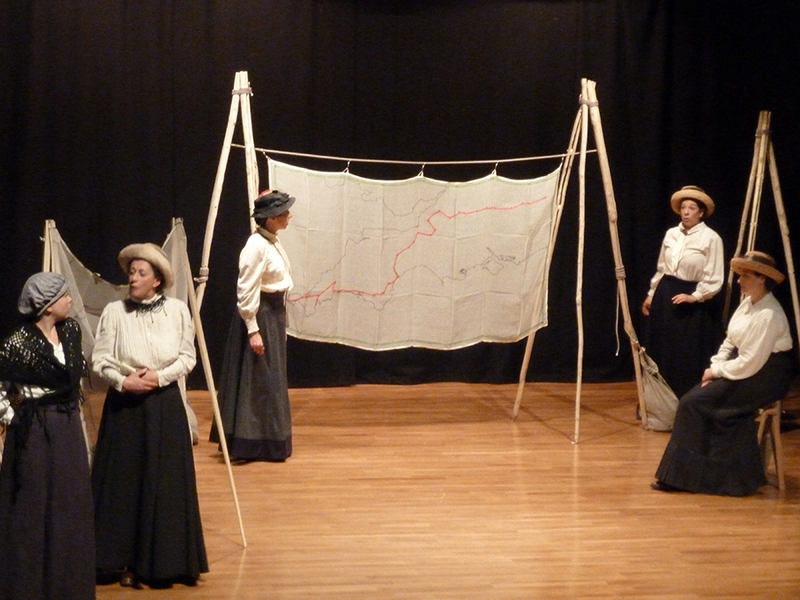 The play and project ‘Oxygen’ marked the centenary of The Great 1913 Suffrage Pilgrimage through the South West and asked, ‘What is important to women today’? 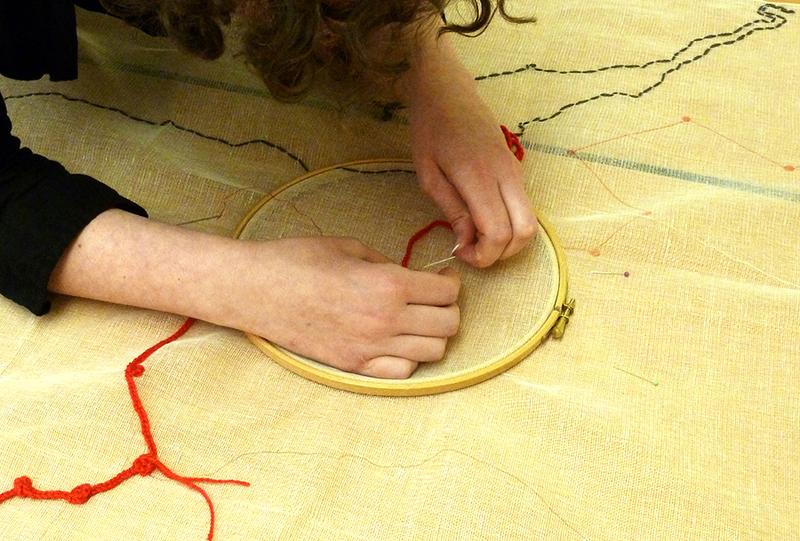 As DSW associate artists, Nicci Wonnacott and I ran way marker workshops with women affected by abuse. 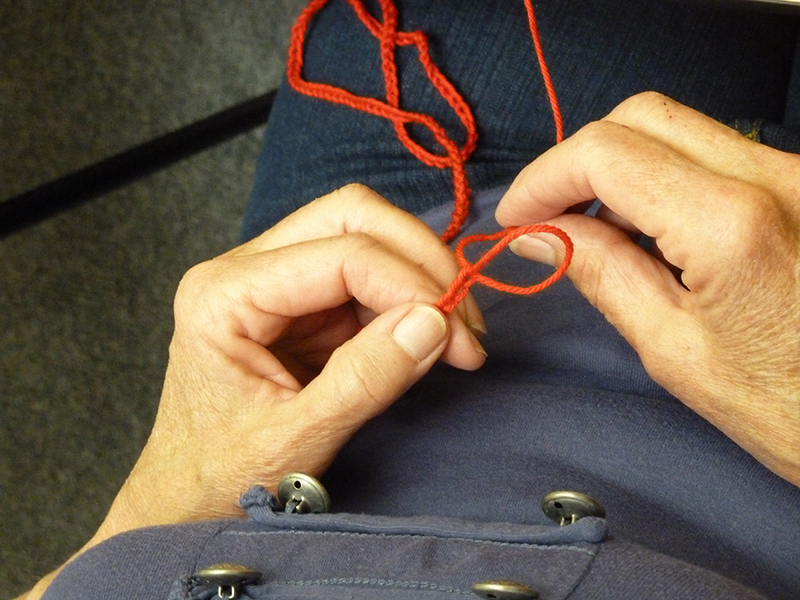 We held discussions around this question while fingerknitting the South West route of the Great 1913 Suffrage Pilgrimage. 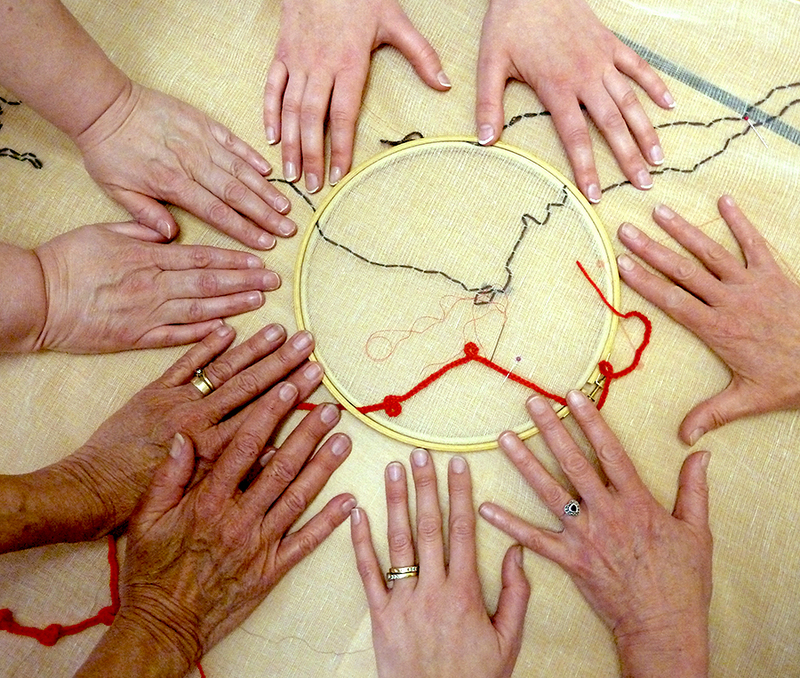 The fingerknitting symbolised each step taken by the women on their walk to London from Lands End. 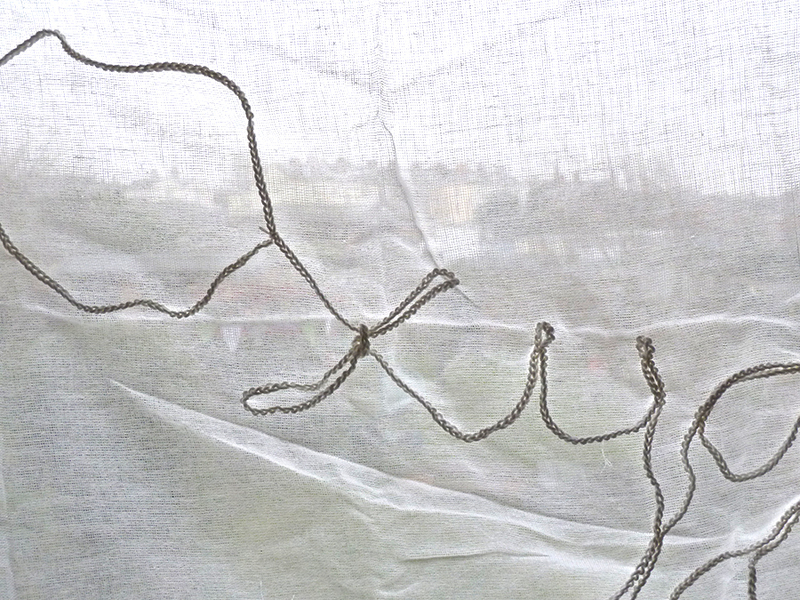 The length of fingerknitting was stitched onto a giant stitched map that was used in the performance of Oxygen. In this way the womens’ voices found a place to travel along the original pilgrimage route and be present in the telling of the story to audiences along the way.